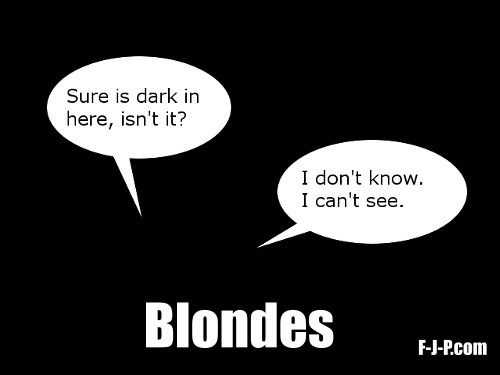 Funny Blondes In The Dark Joke Meme - Sure is dark in her, isn't it? I don't know. I can't see.